The gross and combined Casino revenue for Maryland casinos have gone past to $100 Million eighth straight month in July 2016. All the five casinos of the state are doing well since many months and their recent revenue for the month July is around $103 Million. This is 5 percent more than the previous year’s same month record. The states are out by the Maryland Lottery and gaming control Agency on Friday last week. The first casino of Maryland was opened back in 2010 and it was Hollywood Casino Perryville, while this is the third month that state’s combined casino revenue collection is more than $100 Million, it was $104.4 Million in May, 2016 and this was a record for all the casinos. Not to forget that in November 2015, the combined casino revenue for all five casinos currently working in the state was down to 1 Percent tan previous year’s record. Now after this good work done by the casinos “operating in Maryland”, analyst attributed that upward trend in casino revenue is due to the favorable economic conditions of the state and of entire region. Not only Maryland but Ohio and Pennsylvania casinos are also doing well at ground, while Nevada casino revenue have been flat for some times. 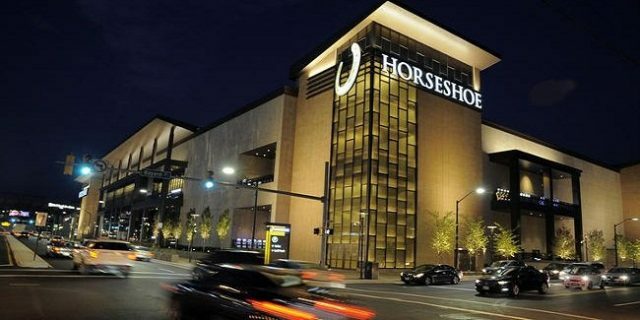 One of the casinos named Horseshoe Casino Baltimore was opened in 2014 and their slot revenue is now $24.9 million, whereas table games revenue for the same casino is more than 2.5 percent than previous year’s record. Erin Chamberlin, the senior vice president of the “Horseshoe Casino Baltimore” says that the revenue generation by the casino is really strong than others, we have done quite well since launching the casino in the state, he added. Construction of State’s sixth casinos i.e. the MGM National Harbor resort is in process and it is expected to be launched in end of this year as well.